Simpson Strong-Tie has collaborated with academic and industry researchers on three NEES (Network for Earthquake Engineering Simulation) projects. 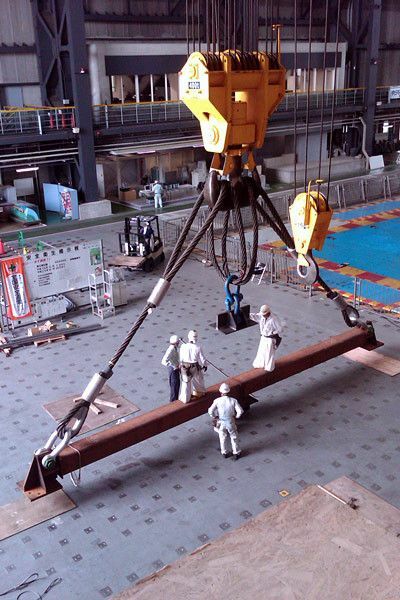 In 2009, we spent many months in Japan working on the world's largest earthquake test. The NEES-Wood Capstone project featured a full-scale, seven-story wood-framed building and was built with Performance-Based Design. In 2013, we participated in NEES-Soft, a seismic retrofit test of a four-story building in San Diego. That same year, we donated product and provided technical expertise for the CFS-NEES project, a series of earthquake tests for cold-formed steel-framed buildings. 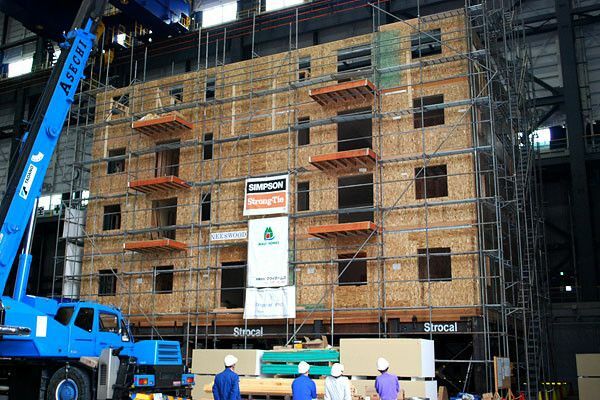 As part of the NEES-Soft project, which was led by Colorado State University, Simpson Strong-Tie and other industry collaborators, a Simpson Strong-Tie® Strong Frame® special moment frame was successfully tested as part of a seismic retrofit of a four-story building at the University of California, San Diego in 2013. 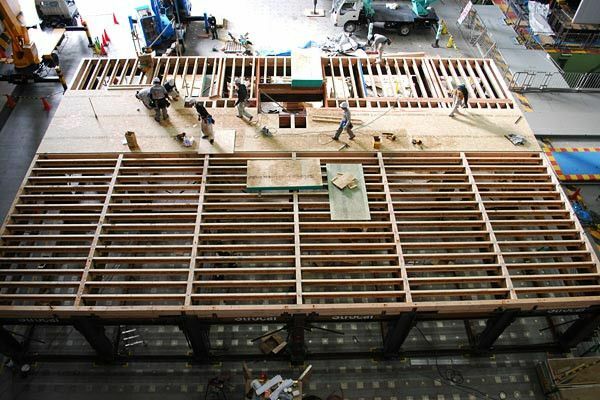 The NEES-Soft testing was intended to validate the FEMA P-807 guidelines that address seismic retrofit requirements for weak-story, wood-frame buildings in seismically active regions of the United States. 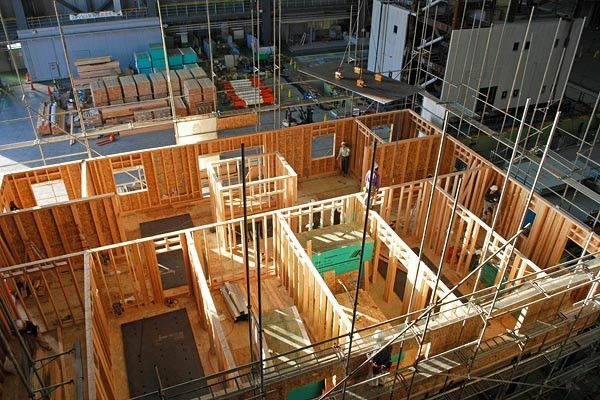 The test featured a full-scale, four-story wood-frame building with a soft (weak) first story. Simpson Strong-Tie Strong Frame special moment frames were used to retrofit just the first story of the building (the garage area) to determine if a lower-cost alternative could minimize building damage during an earthquake. Using the university's outdoor shake table, the building was subjected to four earthquakes that ranged in magnitude from approximately 3.5 to 6.5. "After two small shakes and two significantly larger shakes, the building was damaged, but still structurally safe enough for occupancy," said John van de Lindt, principal investigator on the test and civil engineering professor at Colorado State University. "Earthquakes are particularly damaging to buildings with open spaces at street level and are prone to collapse at that structurally weak and soft first level — even in moderate earthquakes." The NEES-Soft project is a five-university, multi-industry collaboration led by Colorado State University's van de Lindt in conjunction with Rensselaer Polytechnic Institute, Cal-Poly Pomona, Western Michigan University, and Clemson University. Van de Lindt, the George T. Abell Professor in Infrastructure in the CSU College of Engineering, obtained the $1.24 million grant from the National Science Foundation for the research, with additional support provided by the U.S. Forest Products Laboratory. 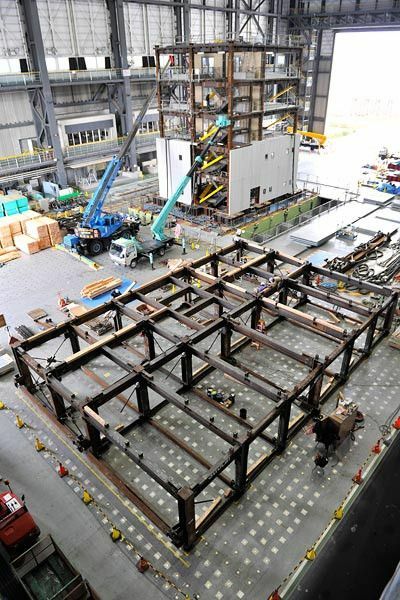 Simpson Strong-Tie donated product and provided technical expertise for the CFS-NEES project, a series of earthquake tests for cold-formed steel-framed buildings. 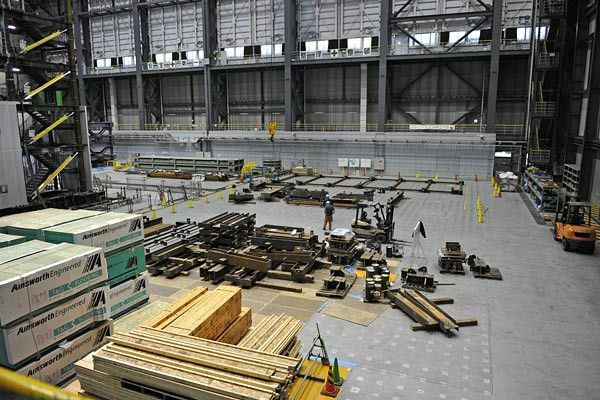 As part of the final phase of a three-year, National Science Foundation-funded research project led by Johns Hopkins University, the purpose of the tests was to better understand the overall system performance of cold-formed steel-framed buildings and to develop performance-based design methodology for seismic resistance. As a manufacturer of lateral systems for seismic resistance, Simpson Strong-Tie served on the project's advisory board and donated connectors and fasteners for the two-story cold-formed steel building. Using the shake table at the University of Buffalo's Earthquake Engineering Research Center, the structure was subjected to simulated earthquakes that range in magnitude of 44% to 100% of the 1994 6.7-magnitude Northridge, Calif., earthquake. 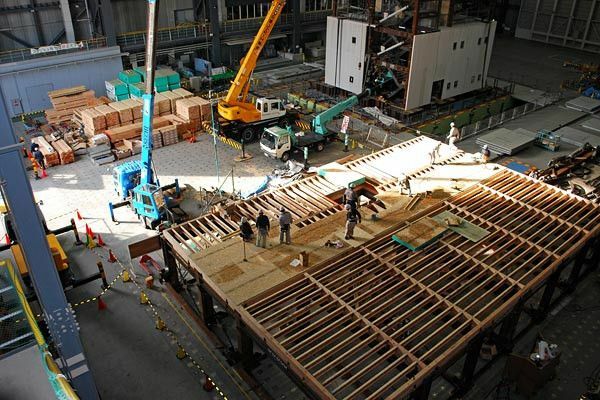 "Ultimately, these tests are designed to help make cold-formed steel construction more economical, while reducing the likelihood of structural collapse in regions with seismic activity. Our commitment at Simpson Strong-Tie is to use research and testing to develop products that help people build safer, stronger structures. Collaborating on this project was a way for us to demonstrate that commitment and help support practical and cost-effective building solutions," said Randy Daudet, Simpson Strong-Tie cold-formed steel industry manager and member of the project's advisory committee. The project was a six-university, multi-industry collaboration led by Professor Ben Schafer with the Whiting School of Engineering at Johns Hopkins from an NSF award for the George E. Brown Jr. Network for Earthquake Engineering Simulation (NEES) Research (NEESR) competition. The title of the project was, "NEES-CR: Enabling Performance-Based Seismic Design of Multi-Story Cold-Formed Steel Structures." Additional university collaborators include Bucknell University, McGill University, and Virginia Tech. For more information about the project, visit the project website at http://www.ce.jhu.edu/cfsnees/index.php or blog at http://cfsnees.blogspot.com. 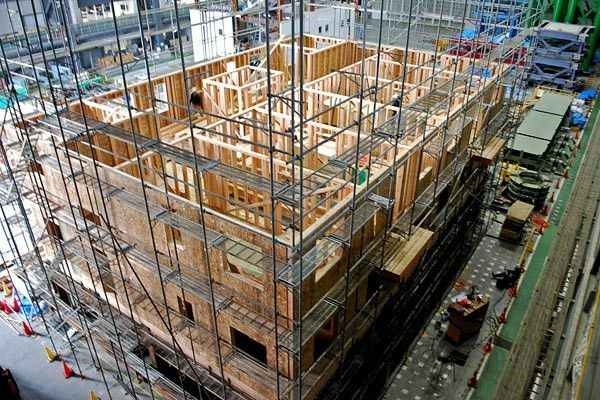 A full-scale, seven-story wood-framed condominium tower not only survived a 7.5 magnitude earthquake, but it escaped with barely a scratch — just minor drywall damage. 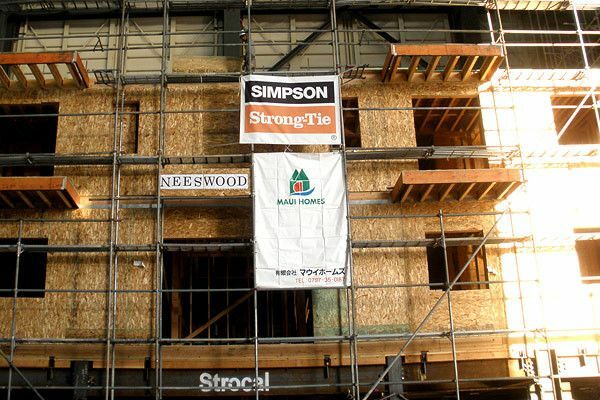 In 2009, Simpson Strong-Tie participated in an unprecedented research event to highlight the importance of earthquake-resistant construction around the world. 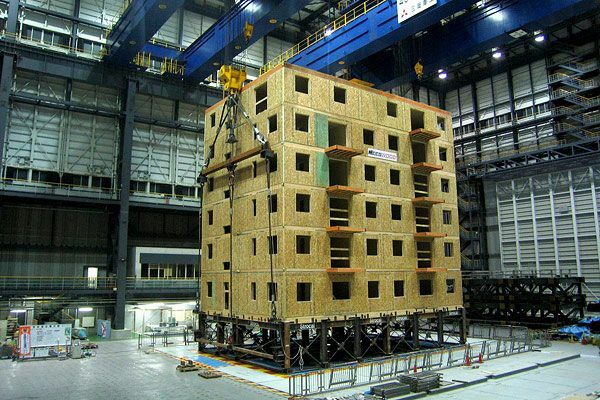 As the world's largest full-scale test ever attempted, the NEESWood Capstone project was developed to test new design methods for multi-story, wood-frame buildings during large seismic events, and ultimately improve the construction and safety of wood buildings in the U.S. The project featured a seven-story, 40- by 60-ft. condominium tower with 23 one- and two-bedroom living units and two retail shops on the ground level. The condo building was subjected to Japan's E-Defense (Earth-Defense) shake table, which simulates the ground motions of an earthquake. 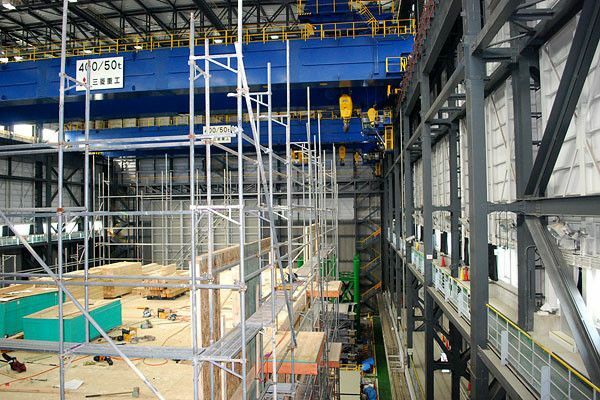 Located just north of Kobe in Miki City, Japan, the E-Defense shake table measures approximately 65 by 49 ft. and can support building experiments weighing up to 2.5 million pounds. The project's condominium tower weighed nearly a million pounds and was outfitted with Simpson Strong-Tie products, including steel special moment frames on the first floor, and 63 Anchor Tiedown Systems (ATS) and engineered structural connectors to secure the seven-story wood structure. Project lead Colorado State University and technical collaborator Simpson Strong-Tie used the shake table to recreate a series of earthquakes based on the 1994 Northridge, Calif., earthquake — a 6.7 magnitude quake. The special moment frame was tested to a 60% Northridge record and a 140% Northridge record. The frames were then braced to isolate the seven-story wood structure for the remaining three tests. During the third and fourth tests, the building was subjected to 60% and 120%, respectively, of the Northridge quake. In the final and strongest test, the seismic intensity was increased to 180% of the Northridge earthquake, roughly a 7.5 magnitude earthquake. "We saw minor drywall cracks from window and door corners," said Steve Pryor, S.E., Simpson Strong-Tie lead researcher for the project. "After the first four tests, the fifth and largest test (180% Northridge) showed only a very slight increase in the amount of drywall cracking and there was very minimal nail withdrawal. The vibrational frequency of the building also did not change, which indicates that the fundamental structural system in the building suffered no appreciable damage." Unlike traditional building design, the Capstone building was built with Performance-Based Design. This design method goes above the code minimum to help prevent structural and nonstructural damage caused by an earthquake. The Capstone building demonstrated that with a little more design consideration up front and a few more dollars in construction, it is possible to save structures, potentially saving billions of dollars after a major seismic event. 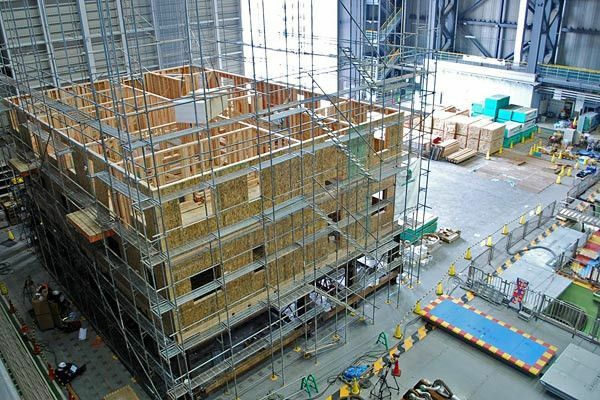 The NEESWood Capstone Tests are the culmination of five universities and a four-year $1.4 million grant from the National Science Foundation to develop a new design approach for taller wood-frame buildings in urban, earthquake-prone areas. Co-investigators funded by the NSF NEESWood grant include CSU, Texas A&M University, SUNY-Buffalo, RPI and University of Delaware. 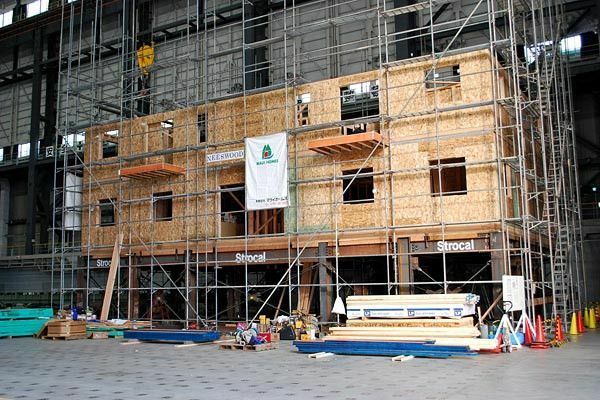 Honolulu-based Maui Homes USA was the project contractor and was supported by the U.S. Forest Products Laboratory, FPInnovations Forintek Division in Canada and Japan's National Institute for Earth Science and Disaster Prevention. Additional project contributors included the Provincial Government of British Columbia, the American Forest and Paper Association, Stanley Bostitch, Strocal, Inc. and several other building suppliers. The National Science Foundation (NSF) created the George E. Brown, Jr. Network for Earthquake Engineering Simulation (NEES) to give researchers the tools to learn how earthquakes and tsunami impact the buildings, bridges, utility systems and other critical components of today's society. NEES is a network of 15 large-scale, experimental sites that feature such advanced tools as shake tables, centrifuges that simulate earthquake effects, unique laboratories, a tsunami wave basin and field-testing equipment. All are linked to centralized data pool and earthquake simulation software, bridged together by the high-speed Internet2. The new NEES grid system, a communications web that uses collaborative tools and tele-presence technologies, allows off-site researchers to interact in real time with any of the networked sites. With these tools, engineers and students from all parts of the country can collaborate on multi-site experiments using simulators that generate earthquake effects strong enough to bring down full-sized buildings. From that knowledge, a new set of rules will be created, enabling engineers to design structures and materials that will better withstand earthquake forces.